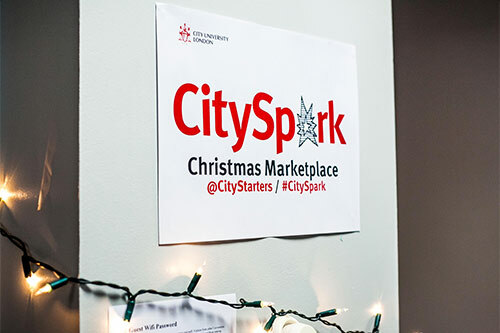 The first round of prizes for City University London's CitySpark competition have been awarded at a festive Marketplace hosted in the Northampton Suite. There were six prizes up for grabs, £500 for an overall winner, two £250 prizes for the second place runners up and three £100 awards for third place runners up. 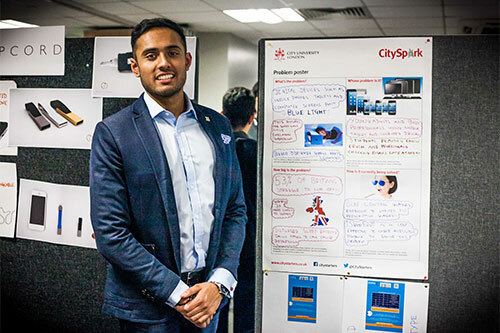 Dhruvin Patel, (BSc Hons Optometry) was the winner with his idea iSleepEasii, a blue light screen protector for mobile phones and tablets. 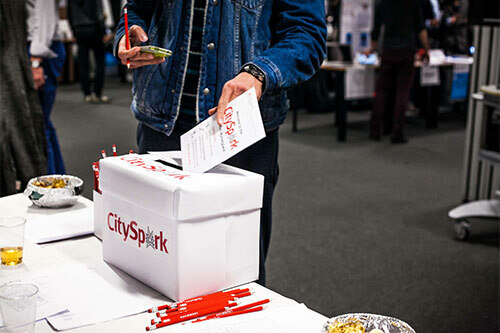 He said, "The CitySpark Marketplace was a unique experience, I really enjoyed the format and was pleased everything went well! It was of great benefit to speak to all the guests, exploring their thoughts on iSleepEasii products. "The prize money of £500 will go towards developing the packaging for the various models of blue light screen protectors, unfortunately no spare change to treat myself! 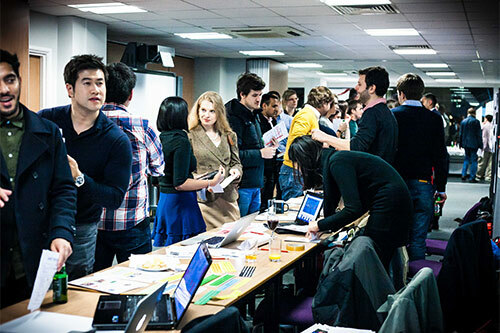 I think its brilliant working with the CityStarters team, and look forward to the next stage." Enterprise education manager at City, Ben Mumby-Croft said, "Stage one of CitySpark challenged the students to identify something they think is broken and needs fixing. Find a great problem and you're a big step closer to starting a successful business. "That is what CitySpark is all about; finding problems, identifying real gaps in the marketplace and building evidence-based start-ups right from day one. "The ideas on display at the Marketplace demonstrate what a wealth of talent we have here at City across a broad range of disciplines. I can't wait to be involved in helping the students develop these ideas for stage two." There were 75 entries for the first round. Students had to submit their ideas on a single A4 sheet, outlining the problem they had identified and how to solve it. All the entries are on the CitySpark website. The CitySpark judging panel selected 30 entries to go forward to the CitySpark Marketplace, where the young entrepreneurs had the chance to pitch their ideas to win votes from the guests. The voting guests were local entrepreneurs, business experts, City alumni and students. Each entrant was given a market stall, and rather than individual presentations 'Dragons Den' style, voters browsed the Marketplace and asked questions during a two hour exhibition. Guests were given a voting card and had to vote for their top three ideas. Stage two of the competition kicks off in the new year, check out the CitySpark webpages for more details on the competition and to find out more about student enterprise at City.